I’m an overachieving multitasker who has a great difficulty in saying the word No. I believe in fun, I’m addicted to colors and I let things get under my skin. I’m a ferocious reader, the kind that scribbles notes on the margins, and I mind if I lend books which are returned with excess creases. I write real letters that require stamps and I recently became obsessed with documenting this habit on a separate blog, Project Postcard. When I’m not too busy blogging or opening tabs on my browser that I know I’ll check out later, you can find me teaching, which is actually my full-time job and one that I absolutely love. I speak before I think, which generally lands me into trouble and my life philosophy is to search for what hasn’t been done yet and then tick it off my list when it’s done. This blog is what keeps me sane in a world that seems intent on driving me crazy. 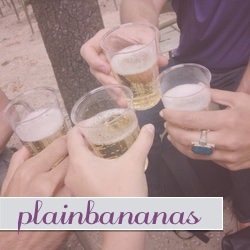 This world is plain bananas and I’m in it, so I’m making the most of it one blog post at a time. Join me for a not-so-sane journey. Thanks! Your comment totally made my day!